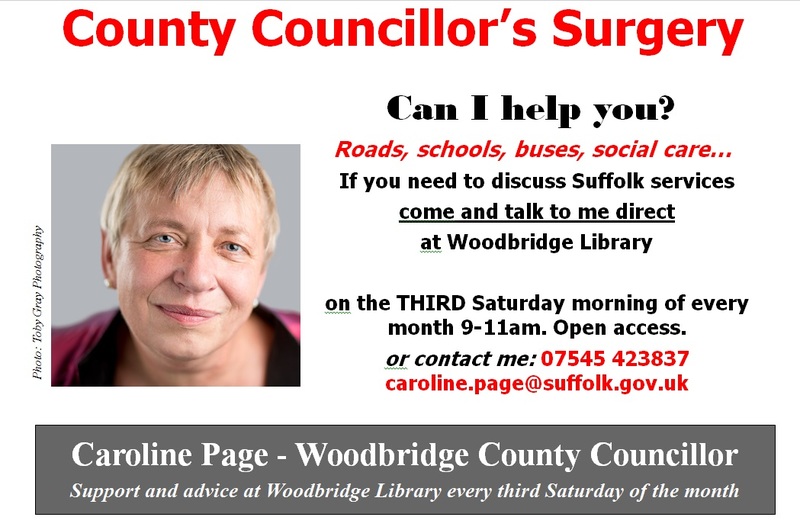 For those who would rather talk to me face to face, rather than contact by phone or email (or rely on bumping into me in the Thoroughfare, or on a bus) I hold a regular open-access monthly surgery on the THIRD SATURDAY of every month. This is held at Woodbridge Library 9am-11am. I’m proud to say this has been going uninterrupted for ten years! So, if you have any problems, comments or questions, please pop in – no appointment necessary – and I’ll do my best to help. Interested in your piece on the Future of Specialist Educational Provision in Suffolk( web form says deadline to respond is the 24th April. I had heard from the NUT it has been delayed. Any info appreciated. My son ( now 31) was SEN- disabled by health ME. I run a support group for ME.